We tell you all you need to know about United's opposition this weekend. Huddersfield are already goners, but Fulham are strong favourites to join them in the Championship next term unless they can resolve their defensive issues and hope nothing happens to Aleksandar Mitrovic. They’re five points behind Cardiff in 18th and a further two adrift of Burnley, Southampton and Newcastle, and with 13 games to go they’re fast running out of time to make up the difference. Excluding the Terriers, who couldn’t hit a barn door if it was five meters away, each of the other teams in the bottom eight of the table have scored between 21 and 27 goals this season (average of 24.9) and Fulham’s current tally of 25 isn’t the thing that’s keeping them tied down. Their defence has been absolutely atrocious however, with the 55 goals they’ve shipped nine more than any other side, and so it was baffling to see the South-West London side concentrate on attacking recruitments in the January transfer window. 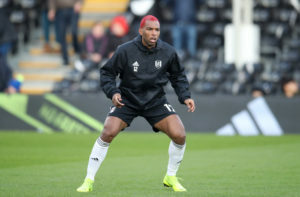 Ex-Liverpool duo Ryan Babel and Lazar Markovic have been the headline arrivals, though neither are going to give the most protection defensively. They have also signed versatile defender or defensive midfielder Havard Nordtveit on loan from Hoffenheim, who has previous Premier League experience with Arsenal and West Ham, though given the Hammers went W2-D3-L6 across the 11 games he started in 2016/17, we doubt whether he can be the man to save Fulham’s campaign. Aleksandar Mitrovic’s 10 goals this term means he’s scored 40% of Fulham’s output, while adding his two assists into the mix, he’s contributed to 48% as the Serbian international has been truly indispensable in their relegation dogfight. Beyond Mitrovic, only two players have scored more than twice for the Cottagers this season, with one of those Aboubakar Kamara – who has just departed for the Turkish Süper Lig – and so cutting off the supply lines will be key to preventing Fulham registering on the board. In particular, that means stopping crosses from coming into the box, with six of his 10 goals coming via his head, though Luke Shaw was immense once more against Leicester while Ashley Young is deserving of a new deal after some solid performances at right-back, and so the Cottagers have their work cut out.